The frustrating search when looking for a parking space could be at an end for drivers in Manuka, Canberra. Smart Parking have begun work with the ACT (Australian Capital Territory) Government to deliver its SmartPark solution that will help drivers find a parking space quickly and conveniently. Smart Parking are the world-leading provider of car parking technology with over 40,000 SmartEye sensors deployed in cities across the globe including Melbourne, Sydney, Perth, Auckland, London, Madrid, Dubai and Cape Town. Since its deployment of over 3,300 sensors, one of Europe?s busiest cities Westminster, London has alone seen travel times reduced by up to 40%. The initial year long contract will see Smart Parking deploy 460 in-ground sensors which uses infrared technology to detect when a vehicle has occupied a parking space. The real-time data captured through the sensors is used to populate a smartphone application and intelligent traffic signs guiding drivers to available parking spaces. This saves drivers time, reduces traffic congestion and greenhouse emissions whilst providing a better overall parking experience. Drivers can download the upcoming smartphone application via their iPhone or Android device to view a real-time map of parking spaces near to their desired location. They are then guided to the nearest unoccupied bay. Once parked, the application can be configured to allow the motorist to pay for and top-up parking remotely. Smart Parking will also offer advantages to Manuka?s retailers and businesses as improved access to parking spaces will give shoppers greater access in a more convenient and efficient manner. The pilot area includes Franklin Street, Captain Cook?s Cresent, Flinders Way, Bougainville Street, Furneaux Street and Palmerston Lane. Work to install the sensors will start in January. A successful review of the pilot could then see further sensors installed across the rest of the city. Paul Gillespie, Smart Parking?s Group Chief Executive Officer, expressed his delight at securing the ACT Government contract. 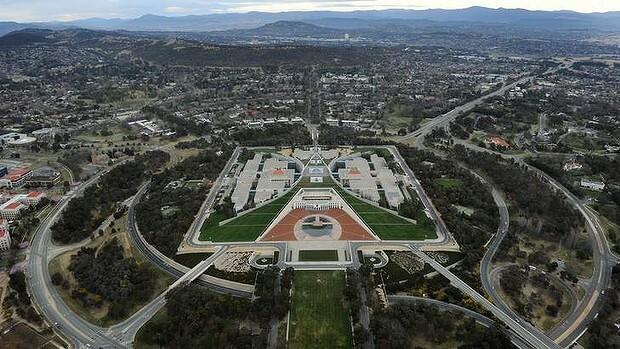 ?We?re thrilled to have been chosen by the ACT Government to deploy SmartPark in Canberra, Australia?s capital city. Our tried and tested SmartPark solution will play a key role in helping its roads and parking spaces operate more efficiently delivering real benefits for both drivers and local authorities. We are confident that residents, businesses and visitors to Canberra will embrace this new innovative technology and see their driving and parking experience transformed for the better.? Chief Minister, Andrew Barr said: ?The Smart Parking trial is an example of the ACT Government?s commitment to better transport in Canberra. In the last several weeks we have welcomed ridesharing to the capital, an Australian first, and announced the creation of Transport Canberra, a single agency responsible for the integration of buses with the new light rail network. These initiatives, along with Manuka?s Smart Parking trial, will help manage Canberra?s growth, by reducing congestion, protecting our liveability and maintaining Canberra as the world?s most liveable city.? Formed in 1993, Smart Parking is now one of the largest and fastest-growing bay sensor technology companies in the world. Smart Parking specialises in some of the most technically innovative real-world solutions available within the market and continually leads the way in the development and application of these technologies, under the ‘Smart’ systems brand. They develop industry-leading technology and provide their clients with the very best parking management solutions.